It is my personal theory that people who want to live in the Middle East are mentally unbalanced. Most humans do not willingly exchange their comfort and familiarity at home for discomfort and alienation abroad. Therefore, those that do make this trade probably feel ill at ease in their own culture and are likely insane. Indeed, most of the expatriates I’ve met suffer from heightened social awkwardness, an awful family from which they have fled, disgust with their culture, feelings of isolation at home, various kinds of guilt, and/or bad breath. Not surprisingly, the severity of the mental imbalance and personal issues is multiplied tenfold when it comes to long term expats in Cairo, a city of bad food, crowds, and some of the worst pollution in the world. If living here appeals to you, something is wrong. My suspicion that Cairo expatriates are a bunch of eccentric loons was validated last night at an AUC event. As I gazed around the lounge of the Cairo Windsor Hotel, decorated with desert animal antlers and a Boston College pennant, I realized I had found myself in a kind of expatriate birdcage. Each party attendee was odd in some way, much like an exotic bird with its own story and quirks, the kind of strange pet that is hard to love and misunderstood by outsiders. The more I observed, the more I felt an ornithologist examining the fantastic plumage and social behavior of rare and valuable species. Some expatriates have come for business, others to hunt mummies, and still others—the most pathetic ones—study Arabic. Some expats have been here for decades, growing stranger with the years and watching as new crops of expatriates come and go, while others come just for a year or two while they’re trying to figure things out. Each one hates Cairo in a way, though many of them also love it because in this city they’ve found a place among freaks like them. New blood comes in and refreshes the stock every now and then, but still it runs strange. At expatriate parties, I often have to be prepared for bizarre amounts of eye contact, awkward introductions, unorthodox worldviews, and hazardous dance moves. To be honest, I fit right in. The best part is that Cairo is a place for everyone else, for those that didn’t fit in back home and want to start anew in a place where the cost of living is cheap and everyone recognizes you from the facebook pictures of a friend’s friend’s party.It’s a weird mix, but on the bright side, even boring people are a little interesting. We welcome you if you want to come, but prepare to get strange. Have you felt it personally? It’s hard to say. I feel like foreigners get more attention nowadays—the other day I got hit with a (small) rock by young boys, and then yesterday I was eating at Pizza Hut and some kids were saying stuff through the window and me and my friend. I’ve heard the general variety of “f yous” etc., but it’s hard to determine how much of this is ignorance, anti-foreigner sentiment, or just foreigner sentiment in general. Right now there’s a big hullabaloo over Americans working in NGOs and there’s been discontent about American interference in local affairs, so there’s some trickle down effect of that. But who knows how it will be next month much less two years from now. Damn. Though I can see why they think that way with the whole Mubarak situation. I just realized my comment sounded really negative—many foreigners really love Cairo in spite of the attention, and things like rock throwing don’t happen every day. They’re more the exception than the rule, but they still happen. And yes ambiguous features are certainly an asset—damn my pale pale skin! I must say whenever I think of foreigners in Cairo I think of pith hats and Lawrence of Arabia. I imagine it’s changed? It’s a great time to visit! Apparently springtime in Cairo is more like summer, but because of revolution there aren’t any tourists and prices are at an all time low. Unfortunately, resentment against foreigners is at an all time high, but you get what you pay for. Anything’s possible. You could certainly come here now and be pretty safe, but the anti-foreigner sentiment isn’t always pleasant, but then again it isn’t always noticeable. Watch and wait…watch and wait. YES! Who said it was a bad thing? Lived in Sharm for a year. Definitely not the same thing. Although you pegged Expats. No I don’t imagine it’s the same thing—haven’t been to Sharm but I hear there’s a lot of Russians there. Yes we expats are a strange breed. Better to be mental than boring, for sure! I’ve seen career expats get transferred into here and get more mental (read: awesome and strange). I think it’s because the lovely people of this country let us get away with pretty much what we like. Living the dream! –mostly. At least there’s nothing else distracting you on Friday mornings from fighting the hangover, except for the khotbas being broadcasted over loudspeaker that are also fighting each other. Have you tried Saqqara weissbier…it was my favorite but now I can’t find it anywhere. Sigh. Been there, in the ‘most pathetic’ camp. Still there, really, even if not in Cairo. I am also there…..alas alas it will never end. Nothing’s more depressing than trying to read a poem after 6 years of studying Arabic and still needing a dictionary for 30% of the words. Perhaps this New York breed requires greater study…..should the two ever mix and interbreed, the offspring would either be geniuses or deviants unfit to live in society. haha!! love this. I am from California. Lived in New York 5 years and Cairo 3+ years till now. I am eccentric maybe, but not crazy. Although I do know what you are saying also, as El Guapo says. weirdos in New York. AND… may I add, California. 😉 I thought New Yorkers were way more insane than anyone I ever met in Cairo and I was never relaxed there. Loved it for 2 years then I couldnt deal. with the weather and everyone’s depression. . And Californians? Haha well they are weird too. I love Cairo. I live in a nice area. I drive around in an air conditioned car. I work for myself and I live very nicely as an expat on a very small amount of cash. 🙂 I was totally stressed in the states trying to pay my 3K mortgage, have my Toyota Highlander hybrid , and buying houses and running my dance company and working in mortgages. I am fine here thank you. 🙂 hehe But I will go back to the grind one day. maybe even sooner rather than later. There are definitely benefits to living here…every time I hear one of my classmates talking about how expensive California is and how they were working like dogs just to live in a crappy apartment, I sigh and realize my dreams of California being perfect are probably false. I love the tone of this piece. Its hilarious. I will definitely be back. I’ve been here for 4 yrs now. I hate it…but for some reason I stay. Must be the parties where I get to vent (over and over) about the crowds and everything in general haha. That’s another good thing about Cairo: everyone can talk about hating it together. It’s the best and most effective topic for the purpose of building solidarity. Superb bit of anthro/ornithology. It’s all true, and that’s coming from the most pathetic kind of expat. Yalla you what? Hahaha I am also the most pathetic kind of expat and will remain that way for a while. At least I’ve come to terms with my fate. I laughed a lot when I read this. I have never been an expat in Cairo but have visited many times (next trip in May). I know all too well that love-hate relationship with Cairo. I love to wander around downtown but then I also feel like i stick out even as I am swamped by the crowds. Always something to think about. So true. I’ve found the best time to wander around (if you’re with someone else) is late at night. One time I was downtown at like 3 am or something and I realized how beautiful some of the buildings are. There are two types of people. Those who love Cairo and those who hate it. I always thought the latter were the weird ones. Just more proof that everyone’s weird. If you’re not at least a little bit weird, you’re weird. PS, could you please solve all my problems (say yes). I think you have a penchant for exaggeration and fictionalizing the reality of Cairo. For one, many foreigners end up in Cairo for one of two reasons: tourism and studying language. 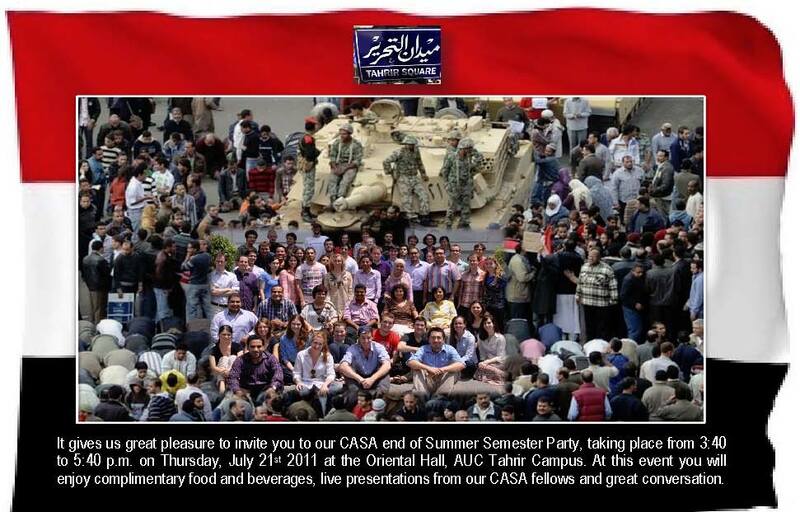 There is also the niche of those coming through exchnage progrs of their unis to have a semester or so in Cairo. Many foreigners subsequently stay for various reasons. Also, Cairo realities are not all that bad. It can be quite confortable, even luxury. Considering the generally friendly atmopshere that Egyptians show towards foreigners, I think it is not as much of a challenge or loonacy to exchange one’s country for Egypt. P.S. I lived in Cairo downtown (Midan Talaat Harb) for 4 years, 2007-2011, in Dahab hotel. P.P.S, I also like your writing style. Someone once said to my son, “You’re quite eccentric.” He replied, “Thank you!” I taught him well. If only we could visit you. We could increase the concentration of Strange. Some of the old 1940/50s movies showed this so well….think Casablanca. And you are welcome in Cairo at any time….never hurts to up the strange quotient. Sooo…how long are YOU there for? I like your writing a lot. I’ve only been here for 8 centuries…I mean months. Yes, months is a more appropriate time span. I have a friend who goes and lives in Yemen from time to time. He studies Yemeni literature and of course, Arabic. I will be sure to pass on your thoughts on those who choose to move to the Middle East and will endeavor to get back to you on the accuracy of your theories. I think we might have a high-scorer in him. Lovely chap btw. Most of the people are lovely chaps, if a little queer. Please do ask for his opinion. I would hate to be making assumptions that other people find out about and think are incorrect. I enjoyed this. Nice style. I’ll be back. Planning on hitting Cairo one day. SOOOO dangerous! Them revolutionaries don’t know what they’re dealing with. We lived in Qatar for 3 and a half years – visited Cairo once and was very happy not to live there. But I understand your theory about people who choose to live in the Middle East for an extended period of time! They are a strange bunch aren’t they! Yes Cairo is….interesting to say the least, but it’s definitely been a good experience overall.